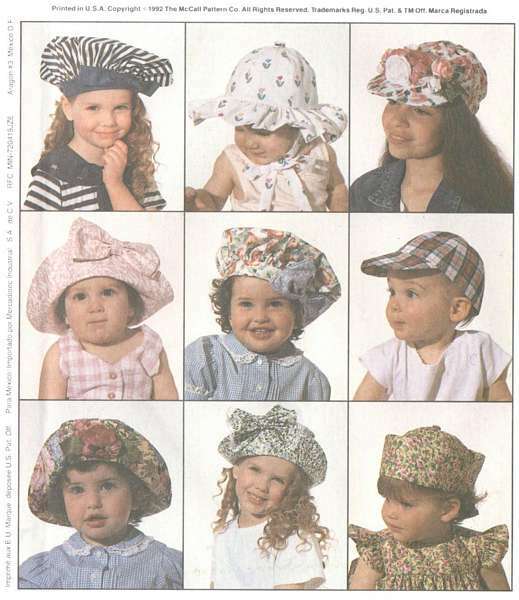 Pattern for a great variety of children's hats including baseball caps, sailor hats, bush hats and sun hats. Please see additional photo below showing all the varieties. Small 19.5", Medium 21" and Large 22".